Toothpicks can be surprisingly handy when it comes to woodworking and fixing small household problems like stripped screw holes and scratched furniture. They can also be used as a quick fix for a hard-to-close door that has to be forced or slammed shut. 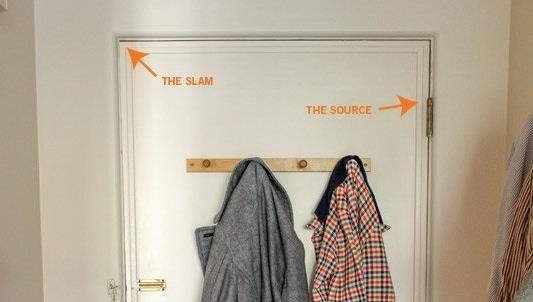 Most of the time, a stubborn door just needs its hinges adjusted, either because the door is too heavy for the frame or not positioned properly. But it's easy to straighten it out with a few toothpicks and a screwdriver. 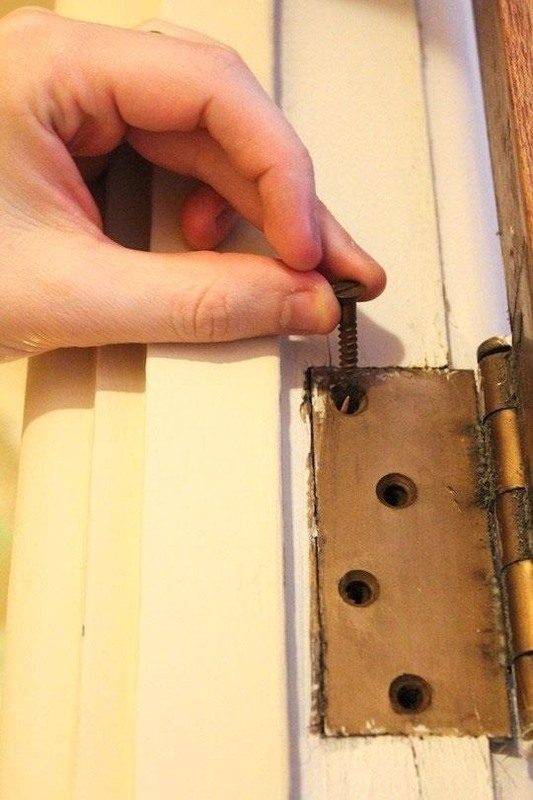 First, remove the screws from the hinge and put a toothpick in each hole. If the toothpicks are too long, break them so they're long enough to reach the back of the holes. Now, use a screwdriver to replace the screws and break off any pieces of toothpicks that are sticking out. Your door should now open and close normally. Head over to Apartment Therapy for more details and photos.